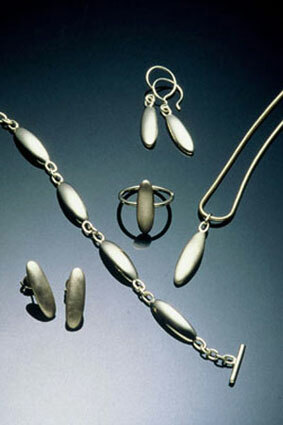 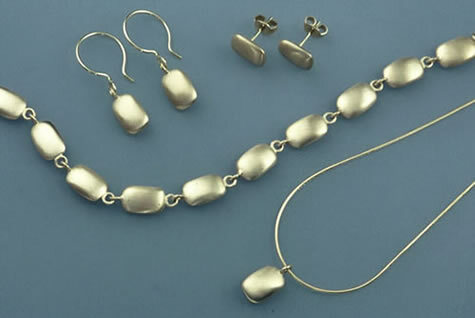 The collections presented here are in 18K gold or Sterling Silver. 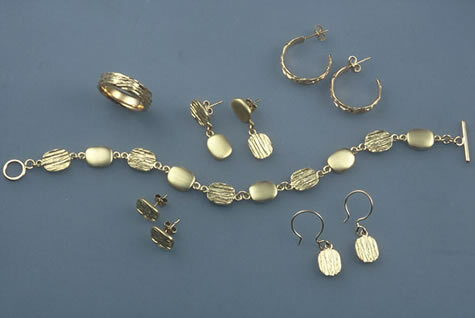 The richness of colour and the density of the material give a sumptuous feel to even the simplest forms in 18K gold. 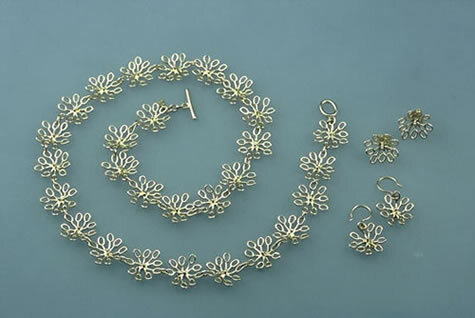 Sterling Silver has a lustrous white colour that is unmatched in precious metals – it just glows!. 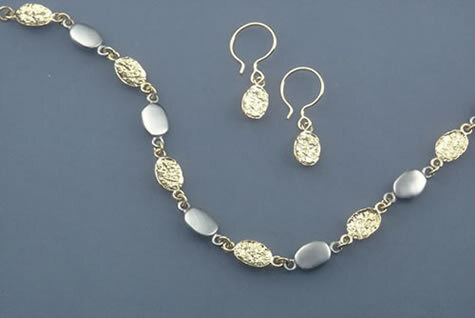 An individual element is the starting point for my designs. 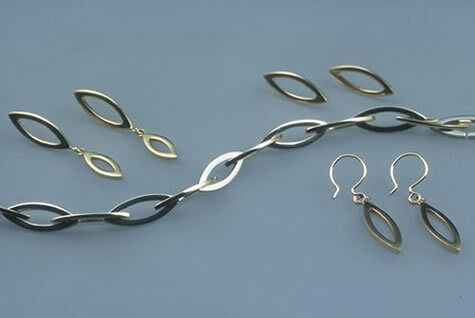 From these, I create a full collection consisting of necklaces, earrings, bracelets and rings. 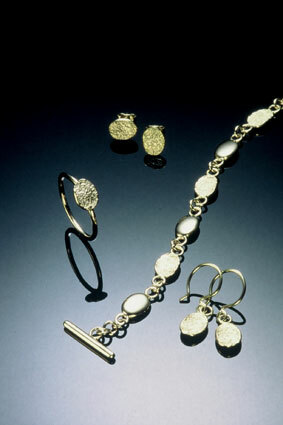 Parures or sets of jewellery have always been a major influence for me. 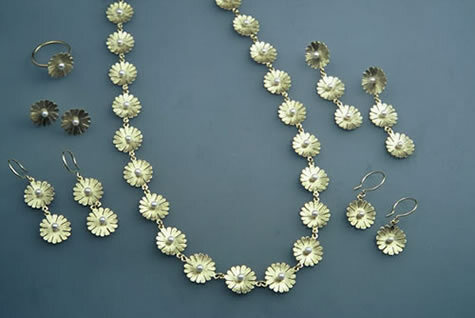 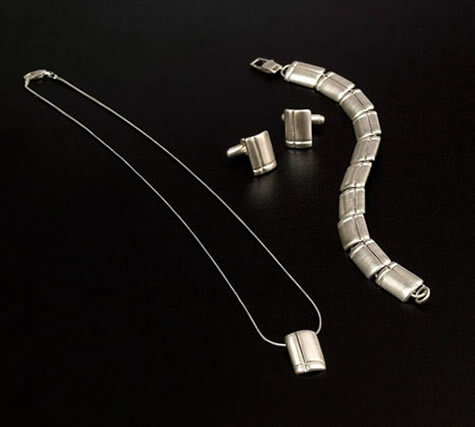 Traditional goldsmithing techniques whether the piece is in Sterling Silver or 18K gold, attention to detail, quality workmanship and finish are hallmarks of all my designs.